Find out how to score a scholarship to pursue your collegiate athletic dreams. How would you like to play your favorite sport on a college team and get financial assistance for it? You can! According to the National Collegiate Athletic Association (NCAA) about $1 billion worth of scholarships are awarded to around 126,000 student-athletes every year. Getting an athletic scholarship is challenging, but you can make it easier on yourself by learning the facts and making a game plan. Maybe you're not Michael Jordan. Still, don't give up until you know the facts about getting and keeping an athletic scholarship. Some people think that in order to get an athletic scholarship for college, you have to be an all-star athlete in a major sport like football, basketball or baseball. But actually, there are scholarships for athletes who are good (not necessarily superstars) and who play sports like lacrosse, badminton, rowing, archery and volleyball. To make it happen, you need to plan ahead, research your options and pursue those scholarship dollars. Getting an athletic scholarship doesn't mean you'll cruise until you graduate. Athletic scholarships are awarded for one academic year at a time. While there are no guaranteed four-year athletic scholarships in NCAA Division I or II, one-year scholarships can be renewed annually for a maximum of five years within a six-year period. Don't think that if you're good enough to play in college, the colleges will contact you. There are 568,500 high school seniors playing football, men's basketball and women's basketball. Across those three sports there are roughly 24,800 positions available for college freshmen. So if you want to be eligible for an athletic scholarship, you have to show recruiters that you're the player they've been looking for. Start early. Begin thinking about your collegiate athletic/academic plans in your sophomore year. Maintain good grades. You won't be playing at a college unless you have the minimum requirements to attend. Collect news articles and videotapes that demonstrate your athletic performance. 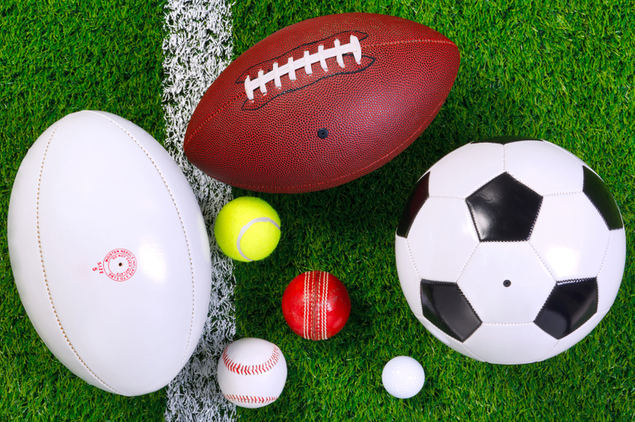 Talk to your high school coach about which athletic programs fit your qualifications. Select the schools that are right for you, taking into consideration the quality and admission requirements of the athletic and academic programs. Find the name of the coach of your sport at each college you are considering. Write letters stating your interest in their programs and your academic and athletic goals and achievements. Include statistics, records, honors, clippings and videotape, if applicable, and let them know you require financial aid. Apply. College coaches will take more of an interest in you once they see you are serious about coming to their school. Keep in contact with the coach by inquiring about the status of your application and by visiting the school. If the school you are interested in is part of the NCAA, familiarize yourself with its particular division; there are different regulations for each division. Like any sport, getting an athletic scholarship means playing by the rules and working hard. Keep this in mind and you might just win the athletic scholarship game! See also FinAid's page about athletic scholarships.